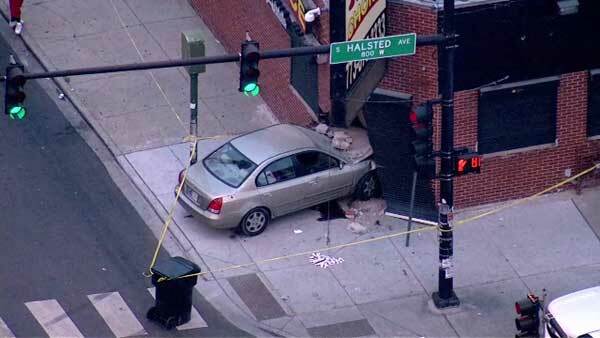 A car crashed into a building at the corner of West 79th and South Halsted streets Chicago's Gresham neighborhood. CHICAGO (WLS) -- A car crashed into a building in Chicago's Gresham neighborhood. Police said the vehicle went into a building at the corner of West 74th and South Halsted streets around 2:20 a.m. Monday. The driver was taken into custody. Investigators are looking into what happened.